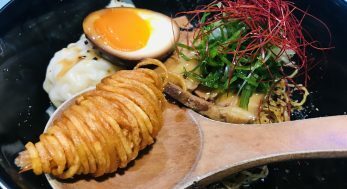 Like I said in Chey Sua Carrot Cake, I am going to embark on a Michelin Bib Gourmand eating spree, giving my two-cents worth on these “famed” restaurants and hawkers. 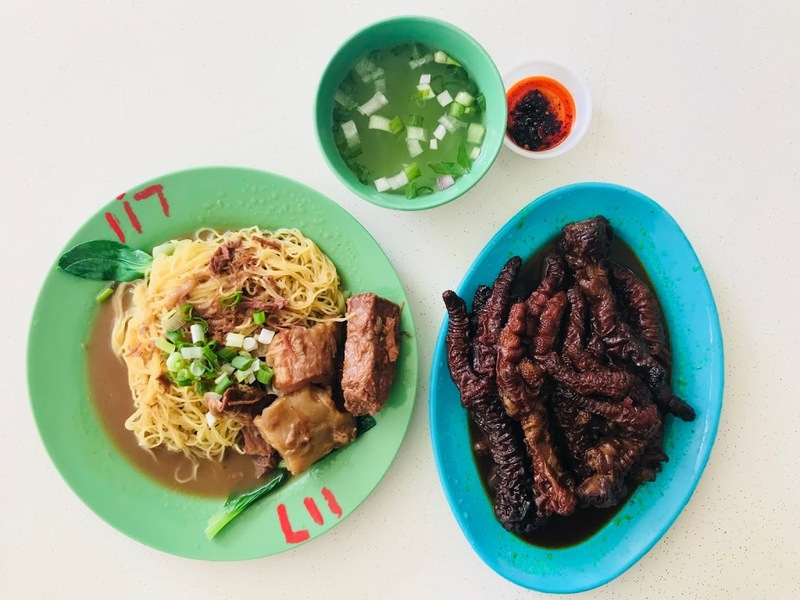 So far I have already reviewed Kok Sen, New Ubin Seafood (Hillview), Ash & Elm, Master Tang Wontan Mee, Hill Street Tai Hwa Pork Noodle, Liao Fan Hong Kong Soya Sauce Chicken Rice & Noodle Man Man Unagi Restaurant and Chey Sua Carrot Cake. 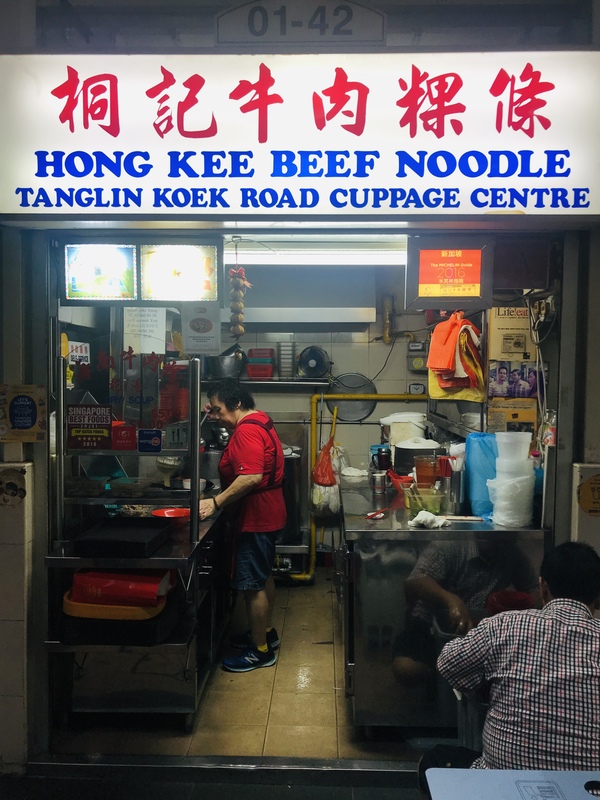 Today I will be reviewing Hong Kee Beef Noodle, which originated from Tanglin Koek Road, moved to Cuppage Centre and then to its current location at Amoy Street Food Centre. This beef noodle stall is manned by an elderly uncle-auntie couple.There is only beef noodles available, available in both dry and soup versions, priced at $4, $5, and $6. This is the soup version with a mixture of beef slices, beef brisket and beef balls, priced reasonably at $6. What amazes me the most about this bowl of beef noodles are the beef slices which are very tender. Many other places cook the beef slices for far too long, till the beef become too hard. The beef slices are just slightly cooked, you can see a hint of pink in the meat. The clear broth was used in cooking the beef brisket, you can taste the unmistakeable beefiness in every mouthful. 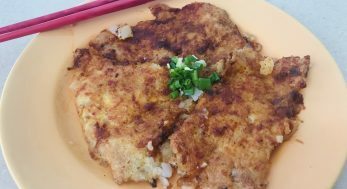 The dry version comes with starch gravy very similar to those found in lor mee, topped with a sprinkling of salted vegetables. 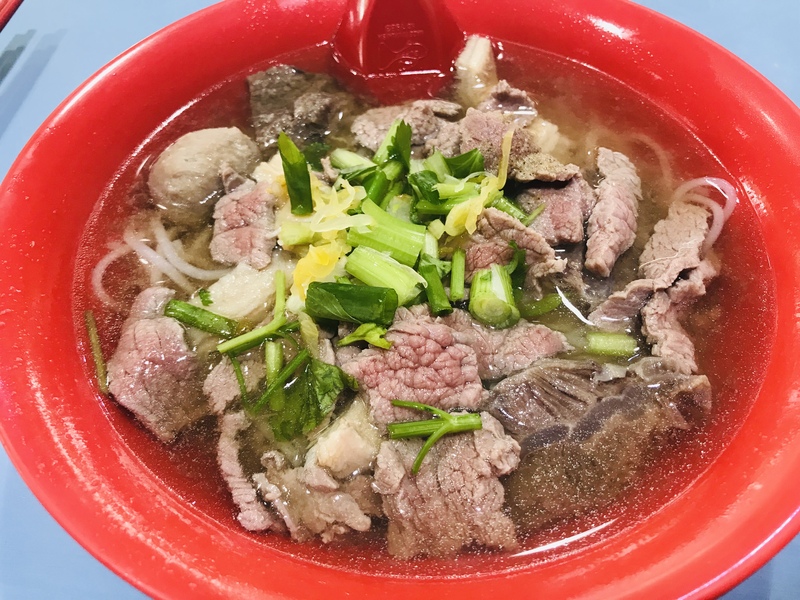 After having Hong Kee Beef Noodles, I finally understand why Singaporeans would come all the way to Amoy Street Food Centre for a bowl of beef noodles. The deliciousness of the beef noodles combined with reasonable pricing makes it an irresistible draw for foodies.